It is well-known that throughout history Malta has been a battlefield for numerous historical events, owing to its strategic position. 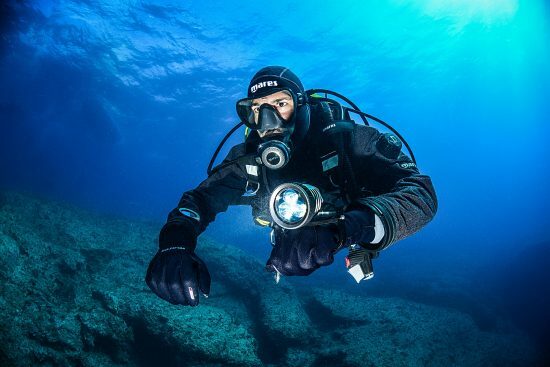 Consequentially, there are a large number of ships, submarines and aeroplanes underneath the surface of Malta's territorial waters - already quite a good reason for divers to visit this country. 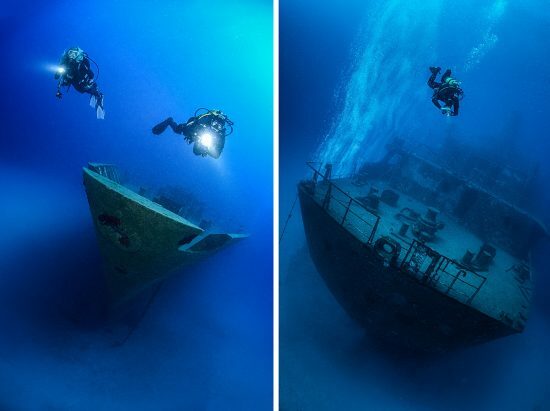 However, the creative Maltese people came up with the idea of having even more shipwrecks in locations which are readily accessible to scuba divers. The idea was no mistake, and because of this Malta is now especially famous for its intentionally sunk wrecks. Located in the middle of the Mediterranean, Malta is exposed to all sorts of winds. Three-meter waves are nothing out of the ordinary. Some of the ships that were no longer in use were sunk intentionally to enhance the scuba diving on offer off Malta and nearby Gozo. After being carefully prepared (degreased with the removal of all potentially toxic parts), ships were sunk at different locations around the island. The choice was dictated by natural aspects and accessibility from the shore. With this approach, new diving sites were created. That meant that some of these places were always accessible, weather dependent. 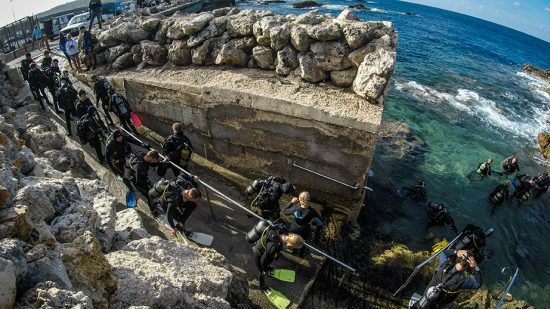 Having in mind that shore diving is a preferred way of entry, it's quite normal that diving centres in Malta have a few vans, pick-ups or SUVs and only one boat, or even none. Diving zones are clearly marked and decorated. Parking lots are well defined, toilets are plentiful and clean, and a restaurant or specialized car with coffee, tea, sandwiches are always ready to welcome hungry and thirsty divers. We gave our trust to Orangeshark Diving Centre and its owner Max Valli and got the impression that it’s a well organized center with highly qualified staff. The tugboat Rozi was built in Bristol in 1958. After a few name and ownership changes, it was deliberately sunk as part of a project to create artificial reefs in 1992. 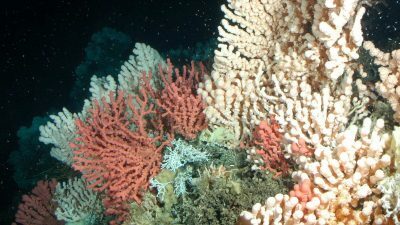 It is located 130m west of the lighthouse, at a depth of 36m. It lies on a sandy bottom in sailing position, which makes it even more attractive for scuba divers. Over the years it has become home to a lot of fish which in addition to the wreck make this place a must-see site for divers from all around the world. Patrol ship P-29, class Condor, came to Malta as part of ex-East Germany's fleet. It was made in 1960 and is 52m long. It sailed through Maltese waters between 1997 and 2005. It was sunk on August 14th, 2007 at a depth of 38m. It lies leaning to its right side. The wreck is famous for its flying bridge and a mast, but the main attraction is the cannon located on the deck, overgrown with algae, connecting nicely to the underwater environment. 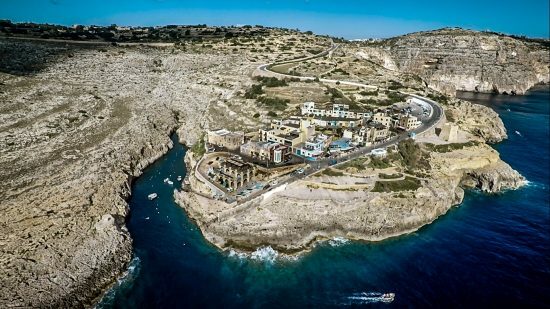 Following the south part of the island, we came to the small village of Wied iz-Zurrieq (Blue Grotto). Apart from breathtaking nature and the phenomenon of the Blue Grotto, scuba divers also come here because of a sunken tanker. This Libyan tanker lies 35m under the water, being 110m long and 16m wide. It is considered to be one of the most interesting wrecks in the Mediterranean. Being enormous, you need to spend at least three dives exploring it. It is now in two pieces after it was smashed by strong currents, but that doesn't make it any less impressive. The flying bridge, corridors, bows with winches and propeller are the most attractive features of the outer part of the wreck, but the inside is what leaves you speechless. Although it's a very popular location, hosting over 100 divers every day, you do not have a feeling that it is crowded, due to its enormous size. If weather conditions allow it, it's an absolute must see. A ferry port at the Cirkewwa reef is a place where ferries sail to the island of Gozo. After about 20 minutes you arrive at the island, after which you need to drive an additional 10 minutes through Victoria to reach Xatt L'Ahmar (Red Bay). Divers are welcomed with a parking lot and tables intentionally positioned for preparing scuba gear. It's about 50m out at sea and can be reached by using stairs and flat rocks. 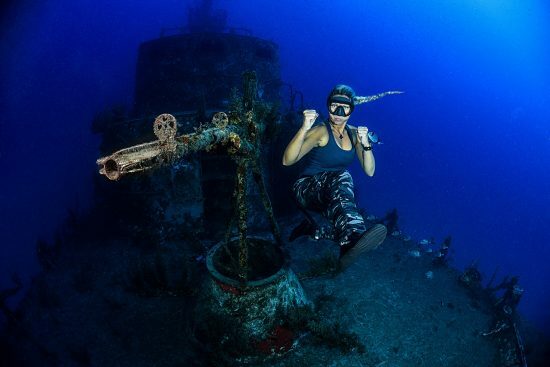 It's home to two spectacular wrecks. Karwela is a passenger ship built in West Germany in 1957. It is 48m long and 8m wide. It had its last journey on August 12th, 2006, when it was sunk to the depth of 42m. It is a fascinating wreck, both outside and inside. 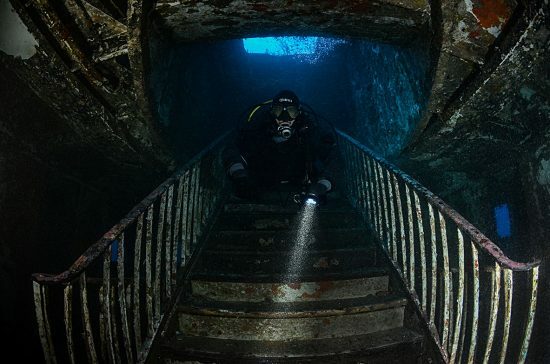 A central stairway, leading inside the wreck, is undoubtedly the most imposing spot. When it's sunny, the place is blessed with a beautiful, sunlit atmosphere. Visibility is also excellent (over 20m) so Karwela is an excellent location altogether. This ship was sunk the very same day as Karwela. This passenger ship was built in England in 1942. It arrived in Malta in May 1992. It's 34m long and 8m wide. It lies on the sandy bottom, leaning slightly towards the left side, at a depth of 42m. This ship has a very interesting stern, which is the top attraction of this site together with its roofed deck. As well as Karwela, it's very close to the shore and easily accessible just after a few minutes of diving or swimming on the surface. I’m delighted with my new Mares DCT canister diving light: with 3200lm full power, it allowed me to illuminate even the darkest corners of the Maltese wrecks I dove in every day. The feature I find to be extraordinary is the beam distance which combined with a 12° diffusion angle makes this torch equally effective even in good light conditions, such as during a diurnal dive on a reef. The canister is lightweight and small, making the DCT very practical with the tec rigs and also with standard recreational equipment. Despite its dimensions, its runtime is one of its strengths. This is thanks to 4 selectable intensity settings, allowing use from 2.10h with maximum power up to 27h with minimal power. Exceptional value for money makes the Mares DCT a top-of-the-range product in its category. During our time in Malta we enjoyed a small part of the underwater treasure this island has to offer. With just a little bit of luck, you can visit some of the most attractive scuba diving locations in the Mediterranean. 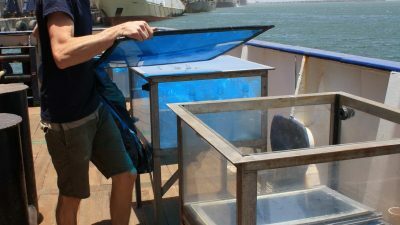 Diving from the boat opens other places for exploration, but that is a story for a future expedition with Orange Shark Diving Center .